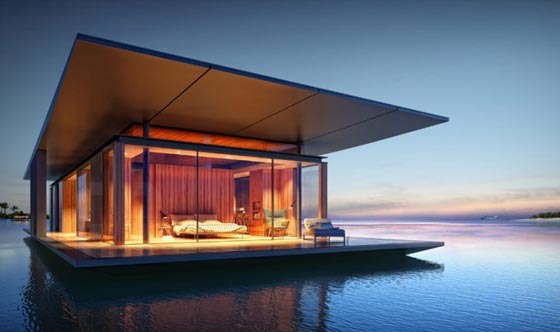 Designed by architect Dymitr Malcew, Floating House is a mobile house can be easily docked at a marina or pier. 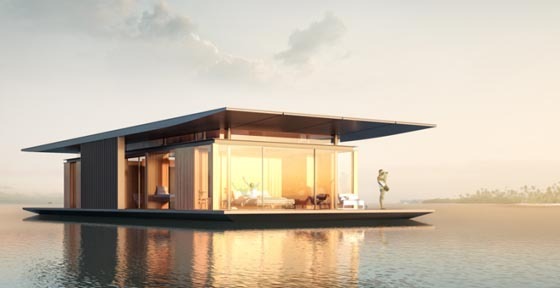 The concept of the floating house is inspired by nature, openness and luxurious yet easy lifestyle, truly designed for people for people who appreciate freedom and nature at their doorstep. 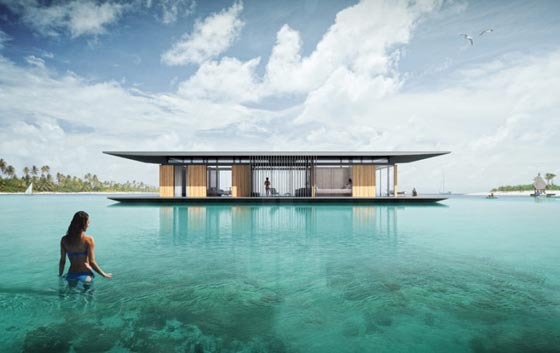 The base of the house is constructed of floating platform, and can be easily moved from one place to another which gives great flexibility of location. 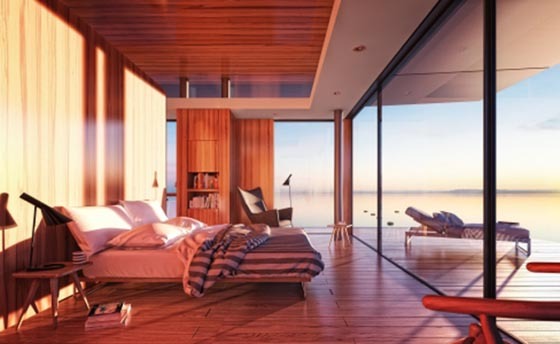 House offers 2 luxurious bedrooms, 2 bathrooms, living room, kitchen and fully roofed terrace terrace. 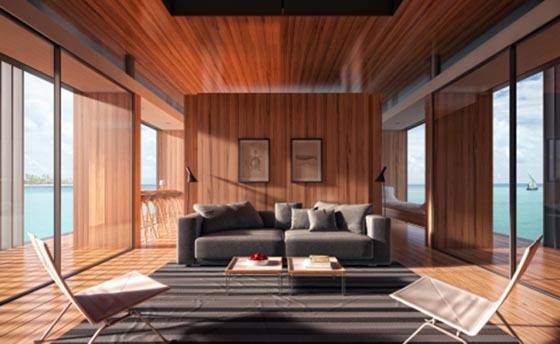 The interior rooms all have direct access to the terrace around its perimeter, enabling the outside world to blend in. 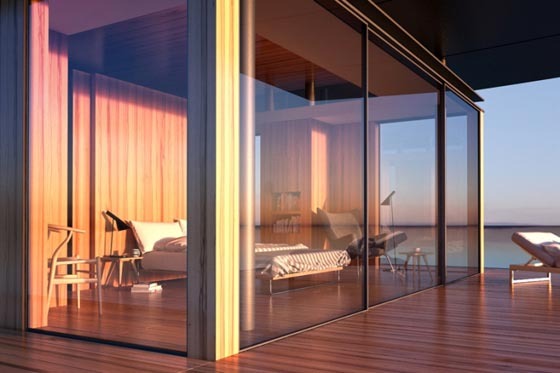 With the glass curtain wall, one can enjoy the breathtaking view of the home’s surrounding landscape while keep privacy when needed.